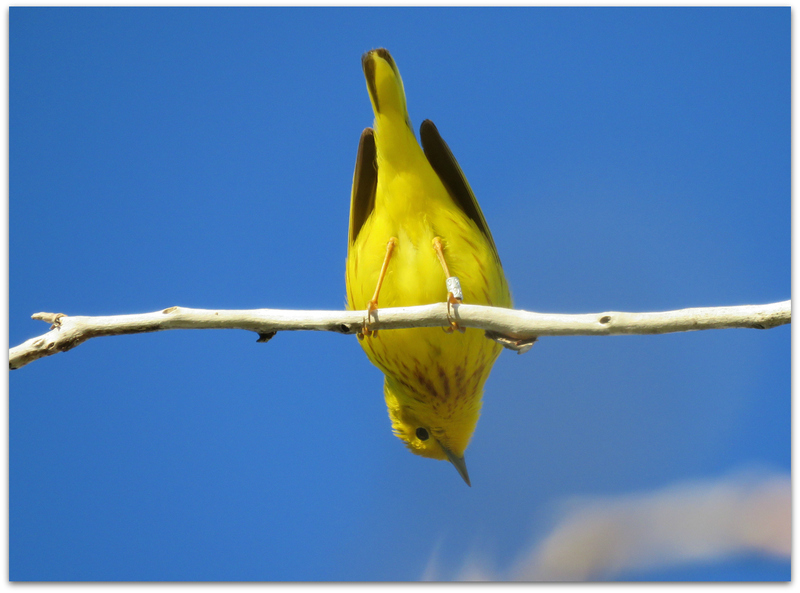 Looking up at a Yellow Warbler on Star Island last weekend. Yellow Warblers nest on Star Island, one of the Isles of Shoals off our coast. 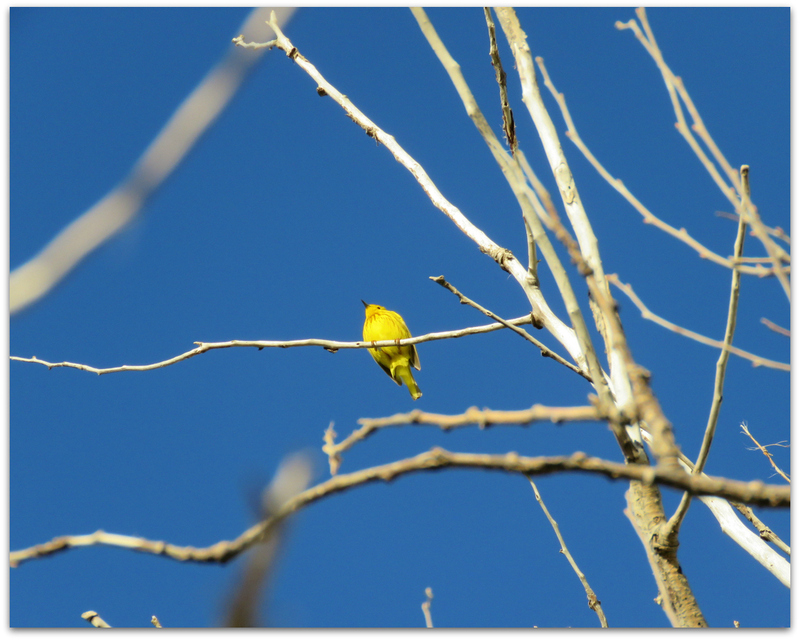 Look for Yellow Warblers near the tops of tall shrubs and small trees. They forage restlessly, with quick hops along small branches and twigs to glean caterpillars and other insects. We also saw migrating warblers like Magnolia Warblers, Northern Parulas, Black-throated Green Warblers and Wilson’s Warblers. And many other birds too! 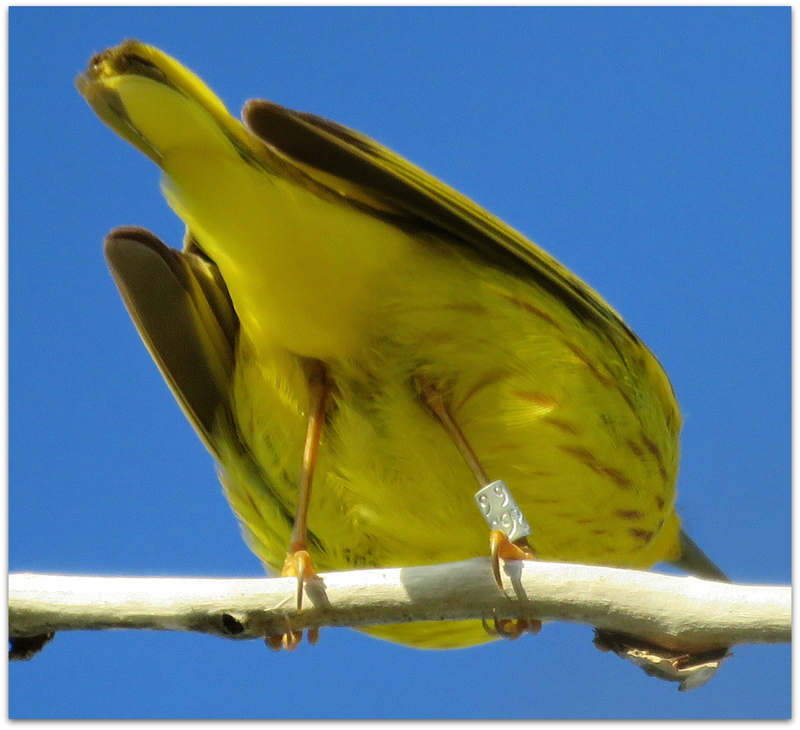 This Yellow Warbler was banded, probably on the banding station next island over – Appledore Island. More on our our especially birdy weekend coming up in a few more posts. Photos from a Spring Birding Weekend are on Flickr HERE. This entry was posted in Uncategorized and tagged birds, Isles of Shoals, spring migration, Star Island, warblers, Yellow Warbler on May 28, 2015 by Amy.